A. Victor Wray, head of the Charlotte Corporate practice, has more than four decades of experience representing corporations in a variety of transactional matters. He also provides counsel on matters involving trusts and estates, bankruptcy, employee compensation and benefits and taxation. Victor acts as outside general counsel for regional and national corporations in a variety of industries, including specialty and medical textiles, manufacturing, light industrial, consulting and medical and dental practices. Many of these clients have worked with Victor for more than 40 years. He has handled many business acquisitions and dispositions, corporate reorganizations and commercial transactions. Victor also designs and drafts employee agreements, benefit plans and Employee Retirement Income Security Act (ERISA) plans, as well as welfare benefit and deferred compensation plans for closely-held businesses based in the US and abroad. 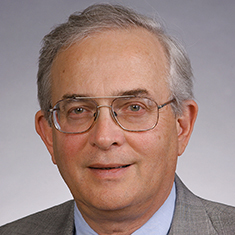 Victor has authored several articles on ERISA and executive compensation issues for the Journal of Taxation. He has spoken before the North Carolina Bar Association and other professional groups. Shown below is a selection of A. Victor’s engagements.